My first August post is a bit late as I am currently on vacation and do not sit on the pc as much as I thought I would. 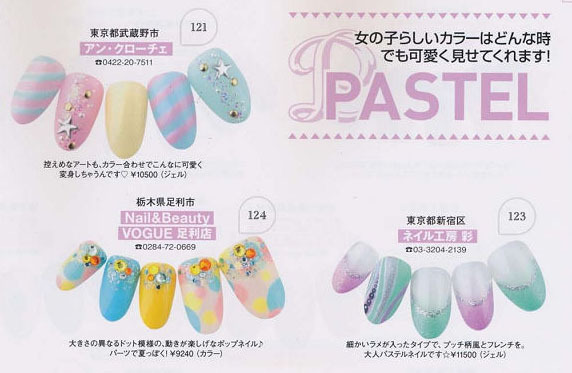 Since this is the first post of the month, here are some nail art ideas from Japan. 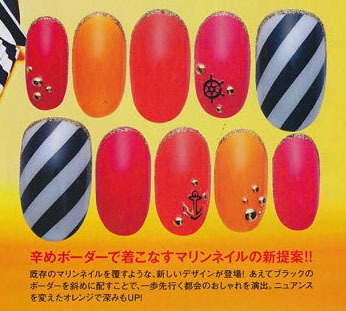 This time the inspiration comes from the summer edition of Nail Venus. First here is a Marine Girl look. A colour that is really cool for a summer look on your nails is navy. The pastel trend goes strong too. For a more intense look you can try some neon colours! 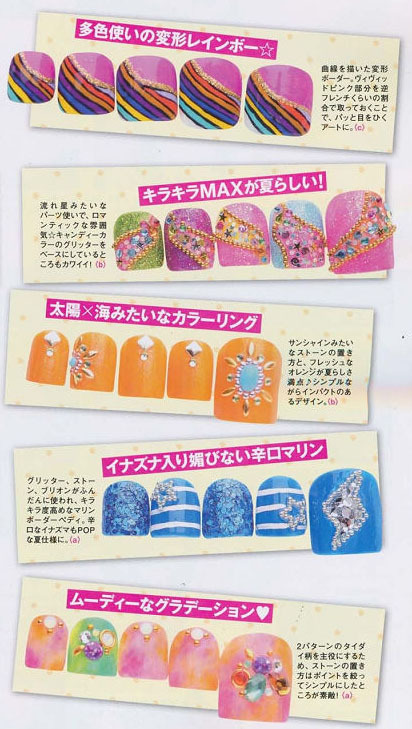 And since in the summer we can show off our toes while wearing sandals, here are some pedi ideas too. That's all for this month's nail inspiration post. Will you be trying any of these looks? Hello there! 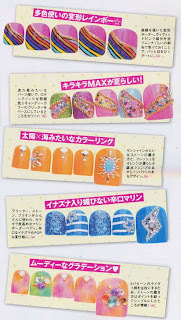 I also follow all japanese and chinese nail trends, they are way to cool. Loved to see your post reminding them! I too love nailart! Anyhow, where do you get your magazines from? thanks for sharing i love to see ideas from other places those designs are so cool and diff definitely some inspiration there. have fun on vaca! Thanks for the pictures! I like The pastel trend! Wow, I love your blog! You have some great ideas.. Love it! So many cool ideas, thanks!